All the recent rumors and hype surrounding replacement of Steve Jobs have prompted me to start thinking about the inevitable again. 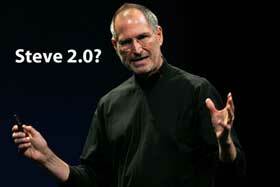 The day Steve Jobs leaves Apple, Inc. will be a sad day in technology. While I think we have a couple more years (hopefully more) left, Sir Steve himself will eventually have to let go. I used to ponder that inevitable day, years back, and would always come to the conclusion that we still had many years to come and that it was too hard to tell where Apple would be. Those years have disappeared in a cloud of iPods, iPhones and Macs, and Apple is on an upsurge. It’s making more money than ever before. All of this, from the creation to the rebirth can be attributed to Steve Jobs. No one needs me to remind them of that. I think everyone at Apple knows this, and are doing something to keep Apple from repeating what it did when Steve Jobs left the first time. Frankly, he can’t return to save Apple again, though I’m sure the when the time comes Steve isn’t going to be out the door like last time. The process will probably be similar Bill Gates being removed phasing himself out of Microsoft: slowly, and over a period of years. This gives Jonathan Ive Eric Schmitt Tim Cook Phil Schiller whoever takes over a chance to become accustomed to how Steve sees the company, how to handle things internally and externally, and to get guidance from the one and only. Who knows, Steve Jobs might even stick around on the Board of Directors, or pull a Woz and just linger (didn’t you know that he is still an Apple employee? ).